It couldn't be easier. There's just one simple form to complete, and once you've told us your requirements, we will call or email you to make sure we have all we need to get your boiler quotes. Up to 3 approved installers will then contact you to provide quotes. They will need to visit your property in order to evaluate the job properly. Then it's down to you to compare and select the quote that suits you best. To get the best possible price we always recommend you get more than one quote. Once you've submitted your enquiry we will endeavour to put you in touch with up to 3 approved boiler installers. Boiler Guide has built up a national network of approved and recommended heating engineers to provide you with hassle free quotes to get your boiler replaced. We do all the hard work for you, saving you time and probably money by comparing quotes. And don't forget, the quotes are completely free. After you've submitted your enquiry online, a member of the Boiler Guide team will give you a call. Once we've confirmed your details and your enquiry has been released to our network of installers you will be contacted by no more than three installers. They will attempt to contact you by phone but where necessary may send you an email too. How long will it take to get quotes? Absolutely not. We want you to be happy with the quotes we provide. So there's no obligation to accept any of the quotes unless you're completely satisfied with the price quoted. Don't forget to ask for a written quote before you go ahead, too. Why has no one contacted me? This is a very rare occurrence. However on the odd occasion your requirements may not match our installer's criteria. If this is the case we will let you know within 7 days of submitting your enquiry. What happens to my details when I submit my quote request? How do I login to my account, I don't have a password? When you submitted a quote request or saved a boiler comparison you will have received an email to set your password. If you are unable to locate the email simply enter your email address here and we will send you further instructions. Are your heating engineers Gas Safe registered? Yes. All gas engineers must be on the Gas Safe Register by law, so we will only work with boiler and heating engineers who are Gas Safe registered. 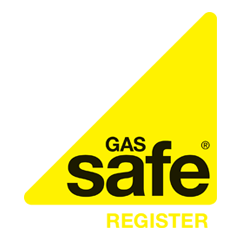 We check to make sure they are registered with Gas Safe and therefore able to work safely and legally on gas appliances in the UK. I'm a heating engineer, how do I sign up for leads? That's great, we'd love to work with you. It's free to sign up and you won't have to pay any subscription fees or sign a contract. Visit our parent site,Holmes Media, for further information or simply sign upto get started. How can I get in touch with Boiler Guide? The best way to get in touch with us is via the Contact Us page and we will respond within 24 hours. We're also on Twitter (@BoilerGuide), if you'd like to send us a tweet. Otherwise you can call us on Boiler Guide. Our call centre is very busy though, so you may not be able to get through to us straight away. I've tried to create an account but Boiler Guide is telling me my email is already registered? You may have entered your email address previously on our old website. To gain access to your account click here to reset your password. How can I leave feedback for an installer? We will send you a follow up email to request feedback on the installer you had engaged. Installers with more (positive) reviews are favoured by our system.